You are here: Home / About us / FGMS / Do You Need to Farm Out Your Marketing? Are print ads too expensive, but word of mouth doesn’t have people standing in line at your door? Do you think that you should be able to handle social media for your business, but somehow, that always slides down the priority list? Is your current social media practice to post something once every now and then? My passions include gadgets, social media, rodeo, horses, promoting things I love (like Pilates) and all things farm. I value honesty, common sense and I want you to do what you love, and let me deal with social media marketing and promotions for you. 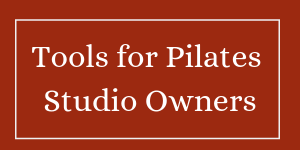 Although I specialize in Pilates studios, I also provide Social Media Assistance for other small businesses as well. Social Media Marketing is my passion, but it is time consuming, so I can only accept a limited number of clients. For a complimentary consultation, click “Make Appointment” in the menu above. Hi. You came recommend by Carey Sadler, a fellow Pilates instructor. I’m in need of some help with my website. I used to have a really cool scrolling site. Unbeknownst to me, my website people created it on Squarespace and not on my WordPress site. I didn’t have access to it and had to pay them monthly fees. I grew tired of being hostage to my own website so I went back to my old WordPress site. I’ve cleaned it up some, but need help with integrating Mind Body and just cleaning it up. Carey mentioned reaching out to you for your input and advice. Karen — I’d love to talk with you about this! I would not do business with someone who didn’t give me access to my own site. It just feels wrong! I sent you an email — but if you’d rather make an appointment on the website — that works for me too!